Join Us for Drinks, Pizza, and the Hottest Issues in Technology! 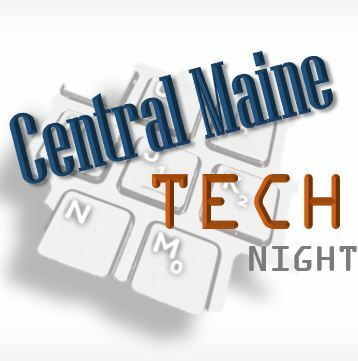 Central Maine's technology community comes together each month for a fun night of collaboration, drinks, food, and networking. At Tech Night you will be connected with technologists (from experts to hobbyists) who share a passion for learning, technology, innovation, and entrepreneurship. Come be part of mid-Maine's innovative IT community! Cyber Warfare Targets All of Us - What is going on? Warfare normally assumes that governments attack the military of another nation – this is not the case for cyber. The enemy is difficult to identify and they can do damage to millions of people without much trouble. That includes you and me. This talk will take a tour of planet earth and provide an insight about who is doing what and why you and your organization should care. We will talk about CozyBear, quantum communications, employment forums, C4ISTAR, Stuxnet, Estonia, USCYBERCOM, electromagnetic pulse, espionage, Pinyin: 61398, drone swarms, UglyGorilla, and more. We will tour France, Germany, Brazil, China, India, Russia, the US, Israel, Syria, Iran, North Korea, and more. This free event is presented by Central Maine Growth Council and is sponsored by CGI, Thomas College's Harold Alfond Institute for Business Innovation, Valley Beverage, and Bricks Coworking & Innovation Space.